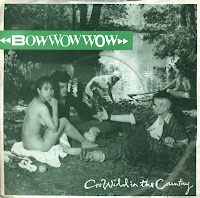 'Go wild in the country' was released in January 1982 and became Bow wow wow's first top 10 hit in the UK, peaking at number 7. 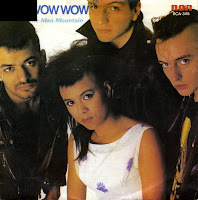 After the split of Bow wow wow was announced, RCA still released another single from their album 'When the going gets tough the tough get going'. The brooding ballad 'The man mountain' was as untypical for a punk band as it can be: it was melodious and slow. 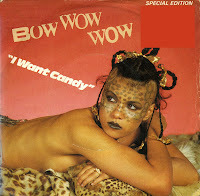 It was actually the first Bow wow wow single I ever bought, because the track really appealed to me. Bow wow wow's biggest hit in the Netherlands, 'Do you wanna hold me? ', reached number two in the charts in the summer of 1983. It was a very positive song, the rhythm and melody in this song gave it a very upbeat sound. Even though it fared less well in the UK (only reaching number 47 there), it was the end of the band. Having become mainstream, the only option for a punk band was to break up. Tensions in the group were rising. Suffering from illness and exhaustion after touring the USA intensively, they went their separate ways. 'I want candy' was originally recorded by the Strangeloves in 1965. The punk band Bowwowwow recorded their cover version of this song in 1982, at the height of their success. 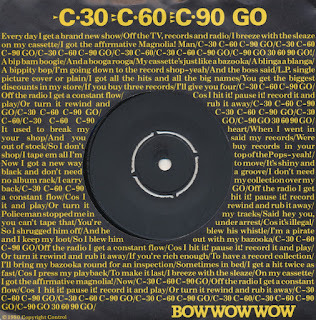 Originally, this was the first single by Bow wow wow I owned, but within weeks of buying it I started to doubt whether I really wanted to have it or not. Making use of this situation, my sister eventually traded the single for another one. Fourteen years later, I bought a new copy of this single in England. 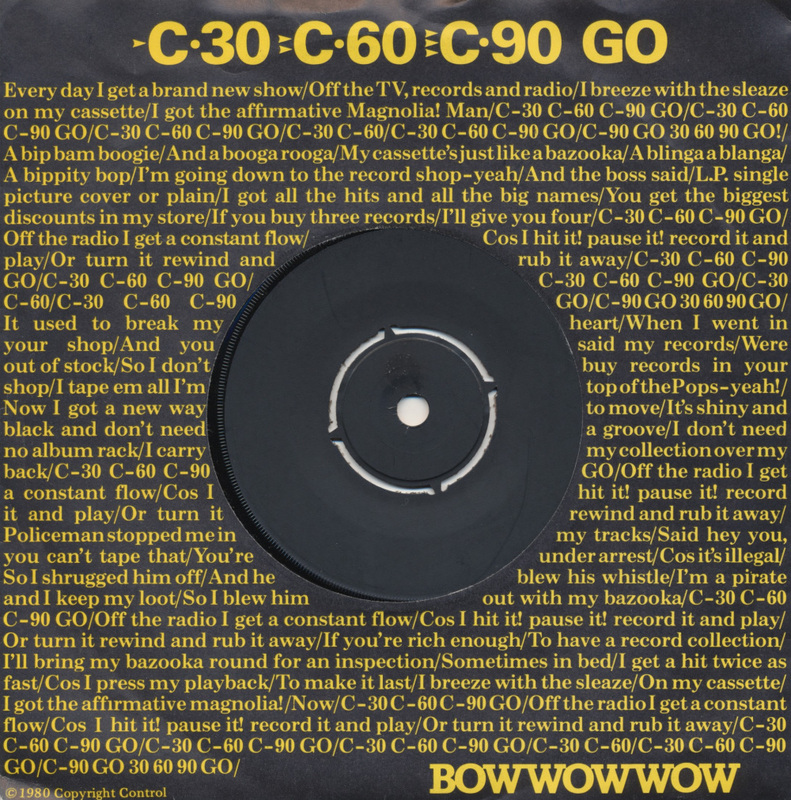 It turned out to be a 'special edition', featuring 'I want candy' on the A-side and the Bow wow wow logo etched on the other side of the disc.